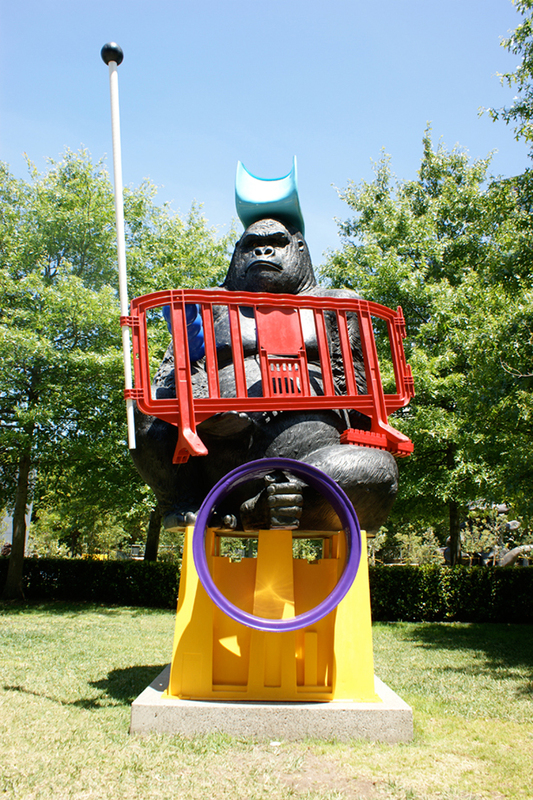 Noble Ape was specifically created for the exhibition Melbourne Now. The invitation to participate in the show provided an opportunity to produce a large scale Wild Card assemblage. The National Gallery of Victoria subsequently purchased the piece and it now resides permanently in the garden of the NGVI.